MortQ is available on the Apple® iTunes® Store, Google® Play® Store and Blackberry® App World®. 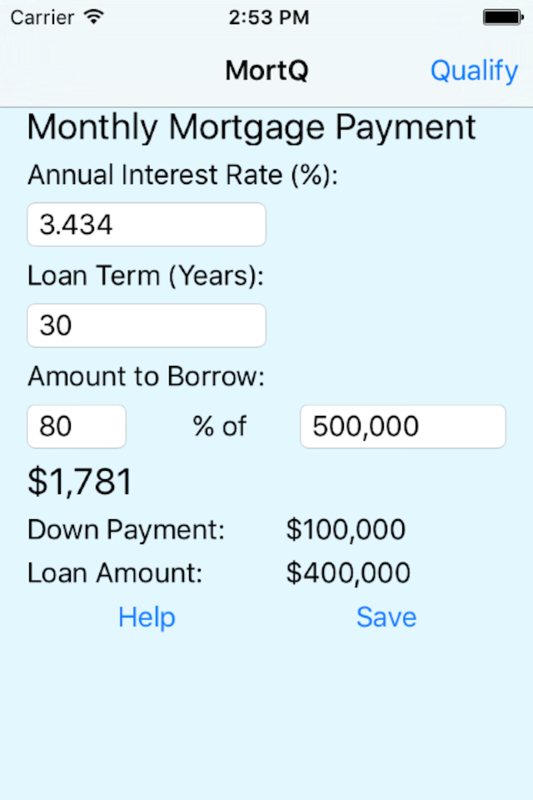 You can enter the rate, term and amount of a mortgage and it will compute your monthly payment. Step 1 will allow you to enter other relevant monthly expenditures such as common charges and real estate taxes. Step 2 will allow you to enter your annual income so that a DTI, or debt-to-income ratio can be computed. A "Save" button on any screen saves your information locally on your phone, and a "Send" button allows you to send an email to yourself or someone else to store or edit the results.